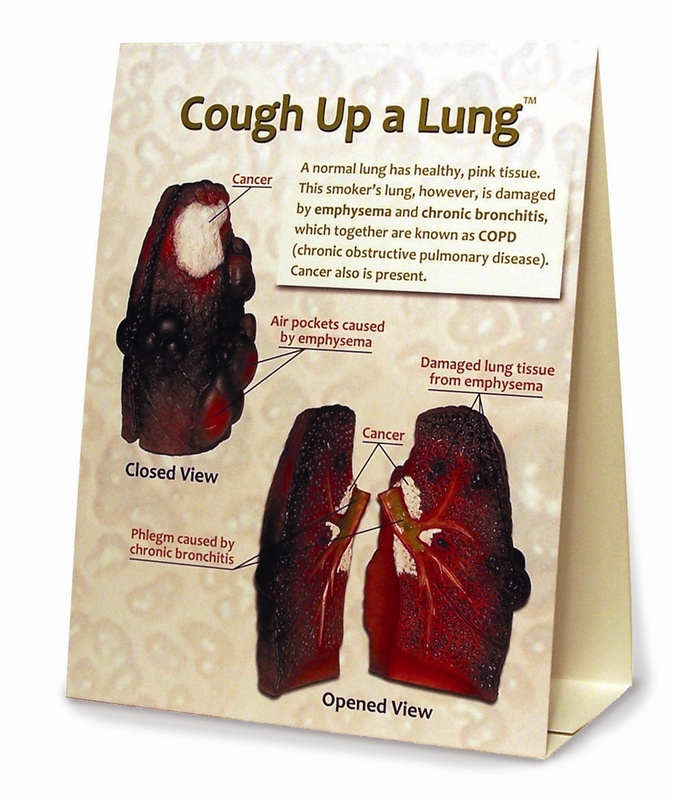 For anyone out there who still doubts that smoking is unsafe, this lung model makes it an open-and-shut case. Cross sectioned, the life size model can be opened to reveal that this is a terminal case. 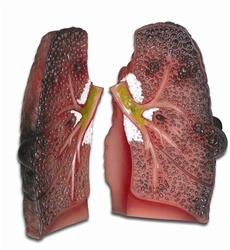 Tumors crowd around the bronchus, the lung tissue is riddled with air pockets caused by emphysema, and the bronchial tube is plugged with slimy, green phlegm. Size: 5-1/2" x 8-1/2" x 5"